On February 19, 1934 at Eastleigh the Supermarine Type 224 flew. Built to Air Ministry specification F.7/30, this was the first aircraft to carry the name Spitfire. 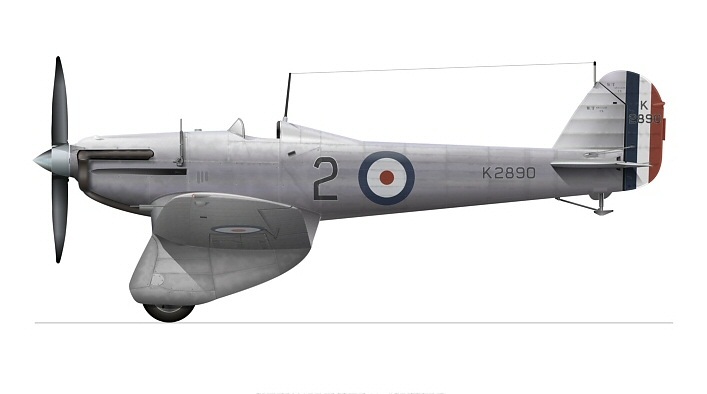 Type 224 was a gull-winged monoplane with fixed landing gear and open cockpit. Powered by 600 hp Rolls-Royce Goshawk II engine with an innovative evaporative cooling system. The armament comprised four .303″ machine guns, two in the wheel spats and two in the cowling. The first “Spitfire” was a failure. Despite its monoplane design it could only muster 367 km/h (228 mph) speed, and the evaporative cooling system proved a dead-end. The Air Ministry contract went to the Gladiator from the Gloster Aircraft Company, which was to become the RAF’s last biplane fighter. Lessons gained through the development of Type 224 lead to Mitchell’s conviction that a much more advanced design would be required for future fighters. This process eventually lead him to the Type 300 Spitfire. It’s almost unbelievable that the same man designed this ugly duckling and the Type 300, K5054 without help and inspiration from ‘another’ direction.